National Institute of Film and Fine Artsis an institute for certificate and diploma courses in film making and fine arts. NIFFA is a non-profit making society which is dedicated to the development of career programs in the film industry and associated fields. 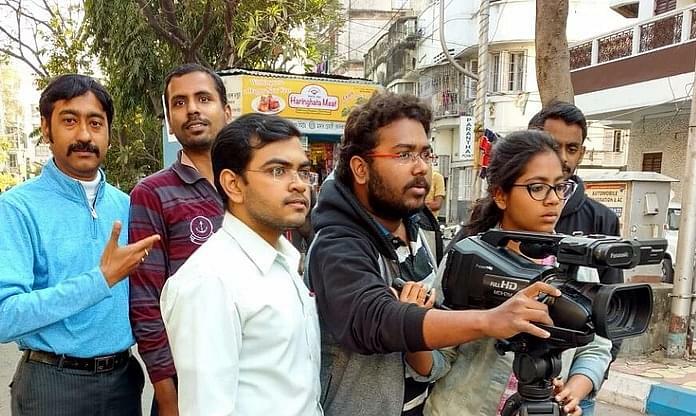 The institute offers courses in a wide range of subjects related to film industry like direction, acting, non-linear editing, modeling, videography, news reading & anchoring, dance, journalism, etc. are a few. At present, the institute has also initiated courses in 2d and 3d animation and multimedia. NIFFA has joined hands with Punjab Technical University and is offering Bachelors and Masters degree in Mass communication and Multimedia. The faculties at NIFFA are experienced and highly qualified who come from various fields of film industry. They make use of audio visual aids to teach students. The campus of NIFFA comprises of all the essential facilities that is needed for student development and education. The infrastructure is well furnished and equipped with all modern and latest facilities. It also has laboratories with all the latest instruments. Student gets opportunity to earn from their own film through their online club. Through this wonderful medium, students might get a chance to showcase their films on the basis of the quality of their work and meritorious performance. Their films will be judged by the viewers and accordingly make them earn for it. Students at NIFFA get an opportunity to join a student community wherein every student can share their feelings, thoughts and work with present as well as past students and other members of the society. The training is imparted to students in such a manner that after completion of their respective courses, they can effortlessly settle in making their professional career. Hi Riju, You may choose the stream/subject as per your interest or specialization. sir i want to be a news anchor so what stream should i choose in mass communication? Hi Sivangi, For Anchoring, some skills are required, for example, your speaking, personality, etc so there is no specific qualification needed for becoming an anchor. If you choose mass communication then no one can stop you from anchoring.